I started with Morgan Taylor ReactMAX Optical Brightener, 2 coats of polish and finished with Glisten & Glow top coat. The first coat is a little sheer but the second coat bulks up. The glitter does make the polish a little bumpy so top coat helps smooth it out. While this is a pretty polish, it's not my cup of tea so it's going on my sell shelf. 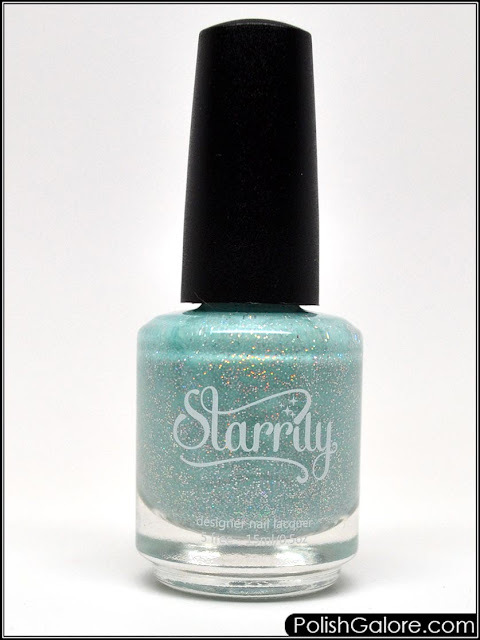 As of press time, this polish is also out of stock. Starrily is sold on their website. Join the social conversation on Facebook, Twitter, Pinterest,YouTube and Instagram.